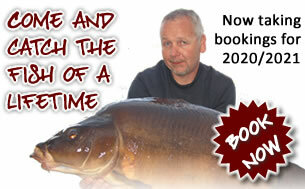 Unforgettable carp angling holiday in stunning surroundings! Chateau Moulin is a 42-acre lake surrounded by luscious oak and pine forests, located near Limoges in the Limousin region of France. With 70% of our clients coming back year after year, this has to be an ideal venue for your next carp fishing holiday in France. Established in the 11th century by monks, Chateau Moulin is now a well-established, fully mature lake containing large beds of lilies which help to support a whole host of insect life in this environment. 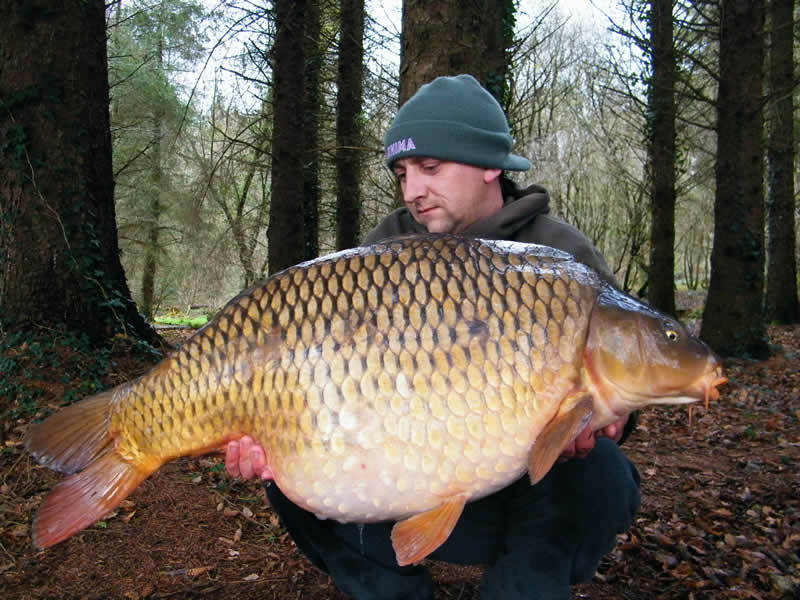 Further up the food chain we have the large numbers of original carp (both common and mirror) living in the lake, which have reached considerable size. 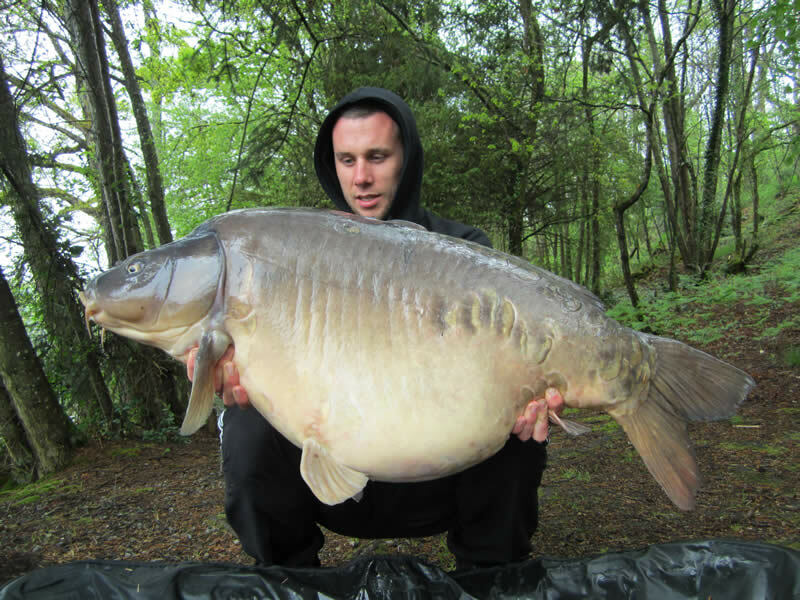 Also to be found are impressive solure, zander and pike. The absence of any angling pressure has allowed the carp to grow undisturbed until we, an English family from Dorset, discovered them. 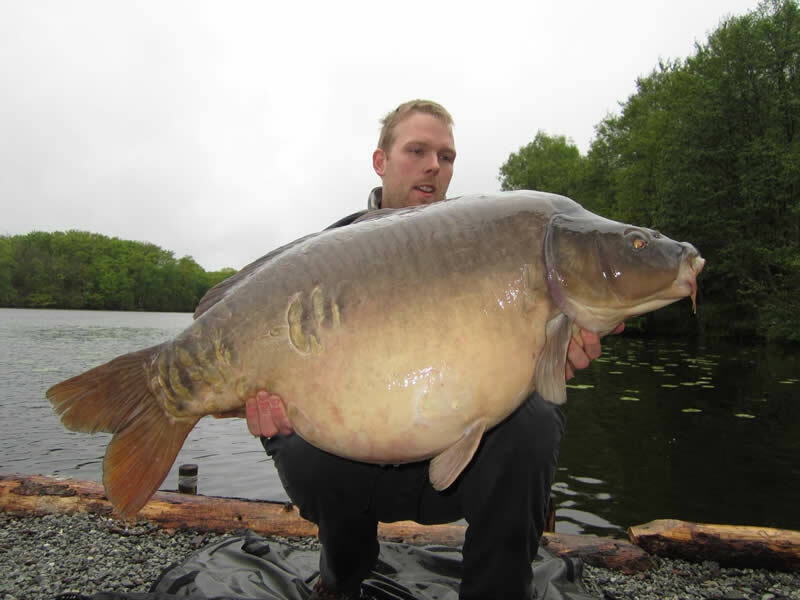 Today, we estimate there be between 700 and 800 carp in the lake. (Over 100 40's, 20 - 30 different 50's and 5-6 different 60's. All our fish have been stocked at between 7 to 9kg over the past 14 years and to this day continue to grow and show no sign of slowing up. 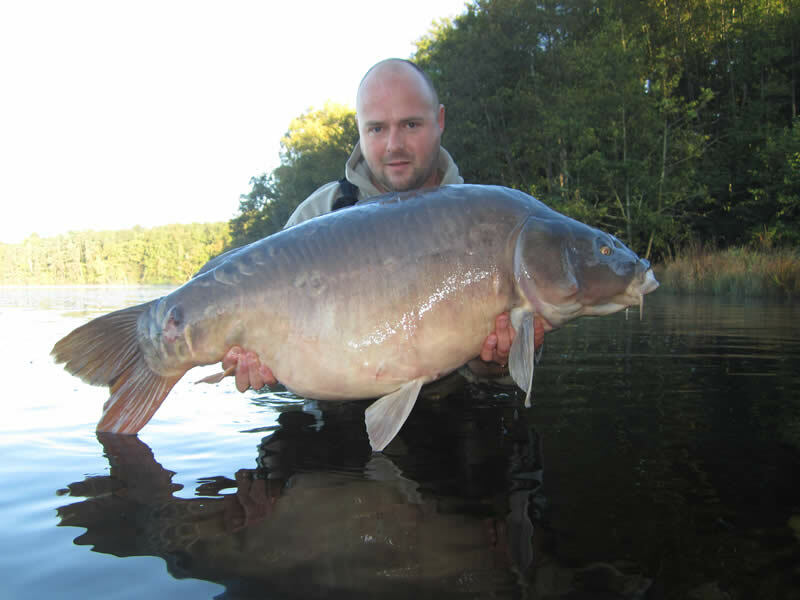 We invite you to come and experience the thrill of fishing this beautiful, unspoilt haven for carp.